This Carnival King DFCSWITCH replacement ON/OFF switch is made to fit your DFC1800 or DFC4400 fryer. In the event that your old switch breaks or becomes lost, you can change out the broken switch with this Carnival King replacement switch. 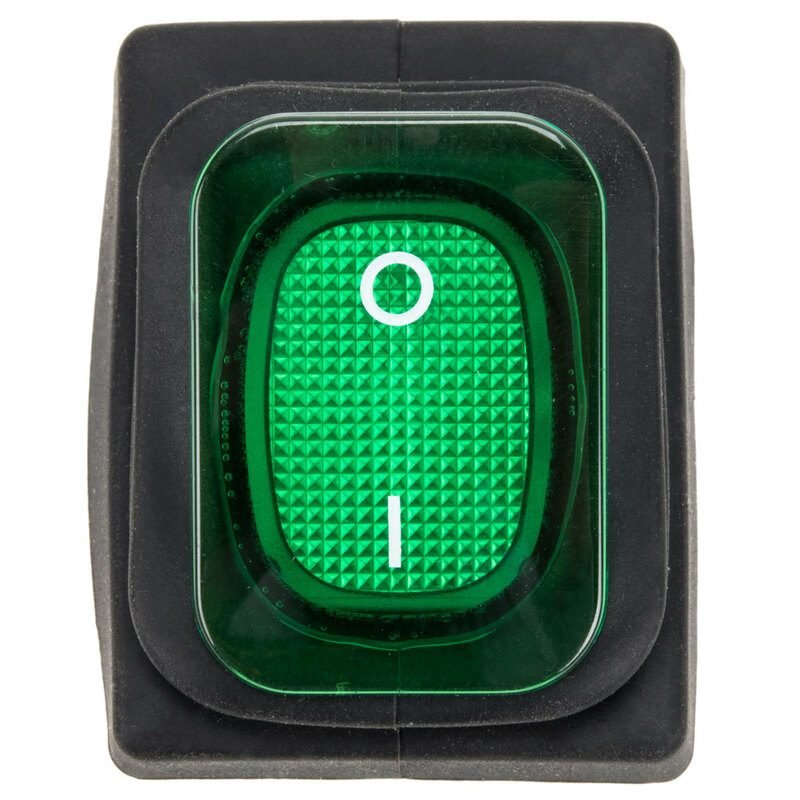 This switch sits inside the unit and features a framed green light that glows when the unit in on. Ensure your fryer is working properly and that you can continue to make funnel cakes and donuts for your hungry guests with this replacement ON/OFF switch. Width of Frame End: 1 1/2"
Width of Back End: 1 1/16"